The Como group of Hotels is hard to fault. Perhaps because it’s owned by a Singaporean woman, once an accomplished fashion designer, the astute and notoriously private Christina Ong, that makes the Como so alluring. Perhaps it is that everything is designed through a female lens. Or that staff are dressed in stylish Comme des Garçons uniforms and are delightfully attentive, without being obtrusive. 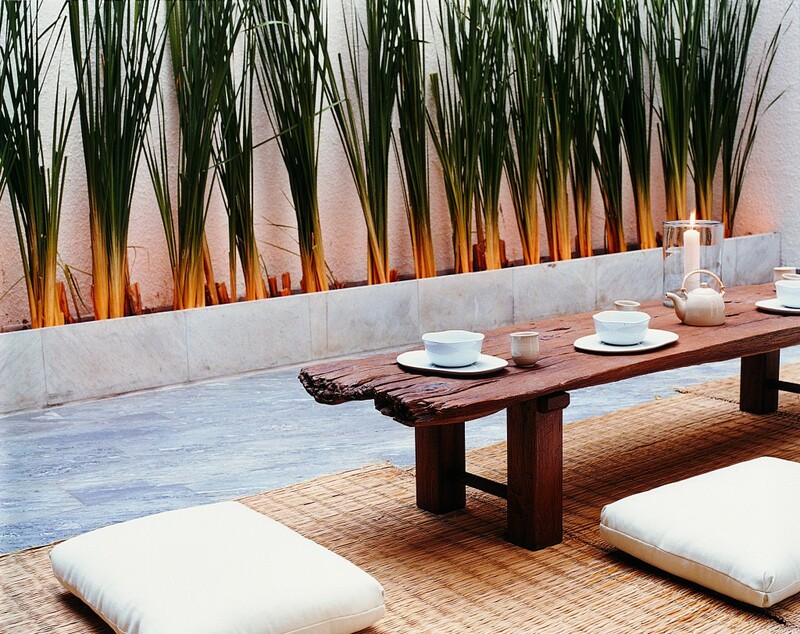 Perhaps it is the design of the hotel, a spectacular urban aesthetic, with hints of zen and minimalism, that creates a sense of serenity away from the business of the streets outside. Whatever it is, we love the Como brand and here is why. Designed by Kathryn Kng, a prominent Singapore designer, who is known for her site-specific practice and her intimate knowledge of design spaces has reflected this philosophy beautifully in the Como Bangkok. 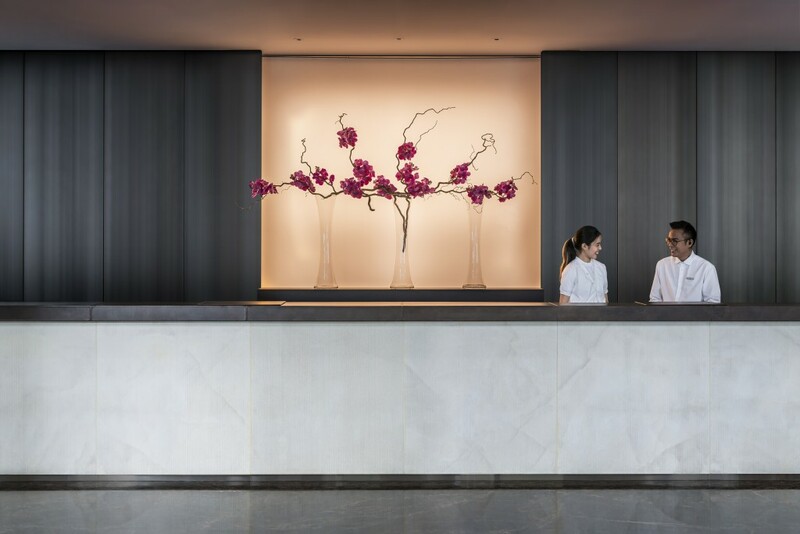 The entrance of the hotel has the high-end feel you come to expect from COMO and the reception is striking in its simplicity. Kng used Dark Emperador marble from Spain here and fused east and west, modern and antique with effortless synchronicity. Its sleek modern Asian design is nestled perfectly in the backdrop of the metropolitan sprawl of Bangkok. The Como is in an interesting neighbourhood, peppered between local businesses, the central business district and the embassy district, the area is lush and a stone’s throw from an endless number of cafes, restaurants and bars. The great advantage of its location is you can walk everywhere from the hotel. Located on South Sathorn Road, the Como Bangkok is 40 minutes away from the international airport. The hotel has 160 rooms and 9 suites. We stayed in one the four Penthouse Suites which at 150sq m and soaring ceilings had the immediate “WOW” factor to it. The teakwood carving and floor to ceiling windows opened to reveal sensational city views, hidden easily at bedtime with electronically operated Thai silk curtains. An open-plan living space, with a spacious work area and jacuzzi for us to enjoy. The king size bed was the ultimate in luxury sleeping and sinking in the bed made for a wonderful sleep after the long flight from Sydney. The Como Hotel’s shining star is its well known (and highly sought after for reservations) Nahm restaurant, with renowned chef Pim Techamuanvivit, gained a Michelin star for the second consecutive year in 2019. Influenced by a combination of the street food of Bangkok and by centuries-old cookbooks belonging to private Thai households, Nahm is known for its innovative style, bold flavours and the use of fresh local produce. 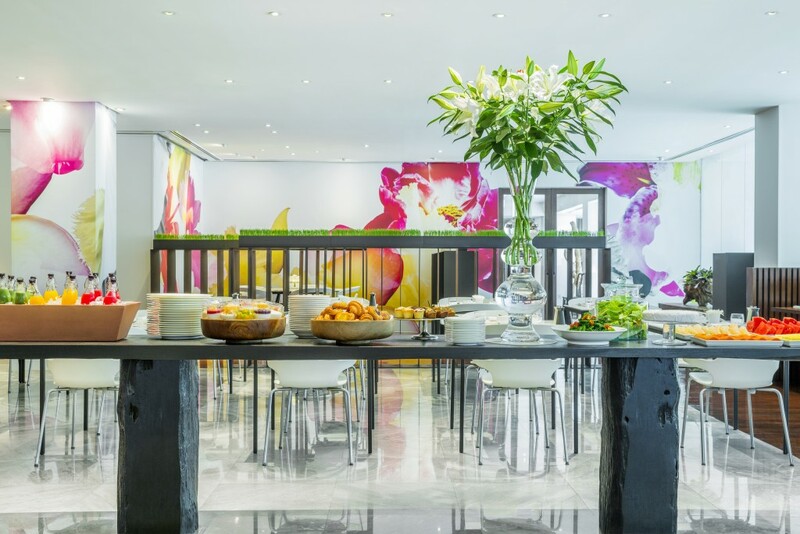 As a guest of the Hotel, the breakfast inclusion is a must, with a combination of delicious pastries, yoghurts and antipasto in the buffet and a substantial and interesting a la carte menu to choose from. Dishes include lush and mouth-watering canapes such as miang of lobster, chicken, green mango, snake fruit, and herbs served on thong-lang leaves, a relish of wild prawns from songkla with tamarind, ginger, and somsa to name two. Finally, with Christina Ong’s personal quest for a well-being philosophy threaded throughout all her brands and hotels, COMO Shambhala Cuisine is offered as an alternative menu which is nutritional, low-calorie eating. Largely organic and often locally sourced, the cuisine replaces refined foods with naturally occurring sugars and unhealthy fats with nutritious nuts and oils. The Met Bar, a stylish lounge-style bar, serves a nice selection of drinks and cocktails. Book at least 2 weeks in advance or be disappointed. 1,200sq m are devoted for escape from the urban energy with a yoga studio, fully- equipped gym, hydrotherapy pool and a 25-m outdoor pool. A well-equipped gym that has a modern yet retro feel to it, and a 25m outdoor lap pool, and private steam rooms makes for great relaxing after a shopping splurge. A free Yoga class is also available each day at 8.00am. No luxury hotel is complete without a spa and Como delivers Asian-inspired therapies in the treatment rooms that range from specific body treatments to facials and massages. I enjoyed a one-hour Thai massage, very specific to my needs and it was one of the best I have had. For us, travelling a lot for business and pleasure, the aesthetics of a hotel and the attention to detail in its design and styling, makes a massive difference. Set atop the tallest building in the city, the Ritz-Carlton Tokyo raises luxury hotel stays to new heights. Get it? Because it’s up high? Sorry, it’s Wednesday and we’re tired.